Do NiMHs work in all gadgets? Do they last? Are they worth the money? Do they save hassle? Using rechargeables results in less stuff going to landfill. Also fewer annoying trips to the shops for replacements. Oh, and less face-palming when Johnny accidentally leaves a gadget on, killing its batteries. Generally just recharge and you're good! 150 Mistreated NiMH AA Hybrid/LSD Cells: How to use them? Do NiMH rechargeables work? Are they better than ordinary disposable alkaline batteries? NiCd (NiCad / Nickel Cadmium) cells and batteries have fallen out of favour. This is partly because of the toxic cadmium metal in them. Cadmium can leak out in landfill. NiMH batteries are much more benign. 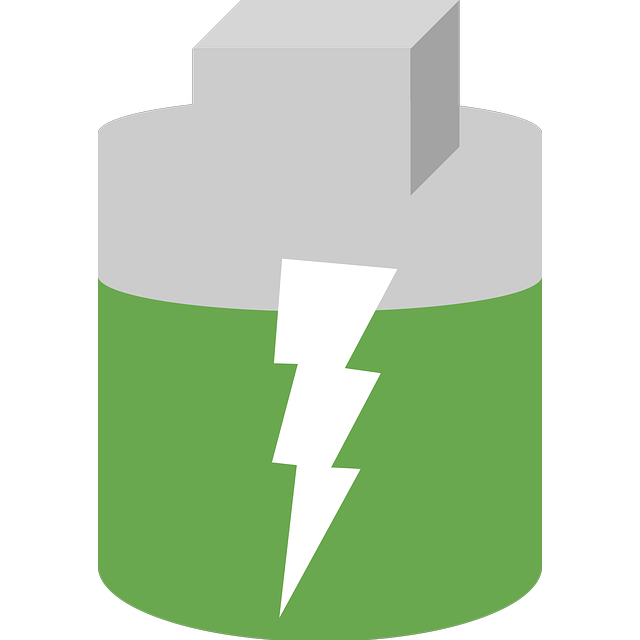 NiMH batteries can outperform normal disposables such as alkalines. NiMHs can drive heavier loads, and can also have higher capacity. Normal NiMH batteries have a fairly high self-discharge. That means that they may run down in a few months even if not used. But the newer 'hybrid' or low-self-discharge (LSD) style can retain 80%--90% of their charge after a year. They are usually supplied charged and ready for immediate use. They are usually a little more expensive and slightly lower capacity. Ordinary NiMH rechargeables can compete with alkalines on price. Usually NiMHs can be recharged and reused about 1000 times. You will need a dedicated NiMH charger. Even a clever one that can charge AAA/AA/C/D/PP3 sizes won't cost much more than a set of batteries. So you're ahead on money after only a few charges. Mains power to charge them is almost free. NiMH is likely to be especially good for high-drain gadgets. Also anything that may get left on by accident such as torches or toys. Try not to run NiMHs down and leave them run down very low. That can damage them. I have only encountered a few devices that are not happy with NiMHs. Probably because of the lower voltage of NiMH cells (1.2V) compared to typical disposables (1.5V). If you need to keep on using those devices then you'll still need a few disposables. In the case of something like a smoke alarm, a suitable low-self-discharge battery (eg PP3/9V) may cost more than the alarm itself. But the battery may outlast the alarm! See my experiment of 2010/12/28. As an experiment on 2010/12/28 I put a Maplin "hybrid" PP3 (N92GK) in a fire alarm that used to have an alkaline. I kept an eye on how long it lasted between charges. A recharge can be done during the day. So we didn't have to be without the alarm active while we slept. (It still seemed to be going strong 2011/09/09 when I had to recharge the non-hybrid NiMH in our other smoke alarm.) Both alarms started emitting warning beeps in the wee hours of 2012/05/04! London Fire Brigade installed new free smoke alarms (without replaceable batteries) 2012/09/12 during a requested fire-safety visit. The test ended there. Neither alarm was complaining about low batteries then. 2018/03/06: this winter we've had outside temperatures between about freezing and a few degrees above. I've been experiencing very short life from some NiMHs outside. A typical pair of 2000mA cells in '4o' my porch temperature sensor have been repeatedly going flat after a fortnight or so. Some of the NiMH cells sitting on my work desk have been quite badly abused. They have run down to very low voltages over a long time. But not all have. And different cells have been used in the '4o' unit this winter. Online literature suggests that NiMHs should not lose so much of their oomph until tens of degrees below freezing. My lead-acid battery bank close by has probably done better even though temperatures have been very similar. It's possible that I have bad firmware in the 4o device. Eg that drains the battery too quickly anyway. Or somehow faster at low temperatures, though that's unlikely. 2018/03/16: the last pair of cells lasted only about 10 days. In frustration I have instead put a pair of alkalines in '4o'. I will see how they last. 2018/04/25: the alkalines are dead: I think the problem is the software! I now have a monthly calendar reminder to swap in new rechargeables and there have been no more dropouts, though maybe I've been getting closer than I'd like! 2017/10/03: Campaign urges people to recycle dead batteries: Major high street retailers back drive to encourage recycling after poll shows more than half throw batteries away in the bin. "The toxic contents mean that they can be hazardous to the environment if not disposed of properly, yet half of respondents (52%) admitted throwing batteries away in the regular waste bin. This results in millions every year ending up in landfill, with the potential to leach into the ground and water supplies if not carefully managed." Maplin NiMH batteries, chargers, etc. 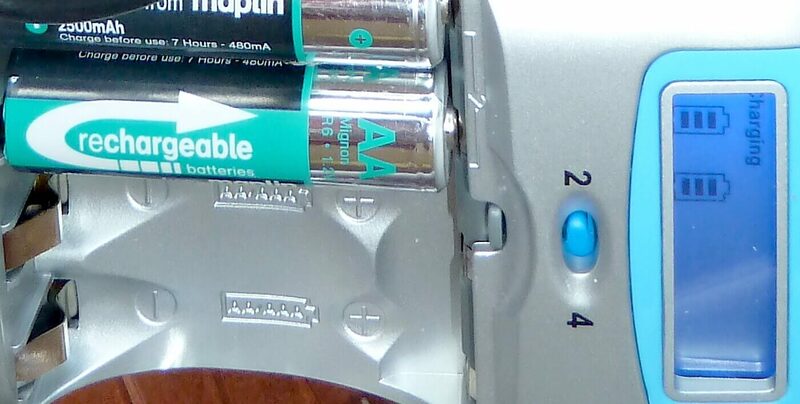 Maplin 'hybrid' NiMH batteries, chargers, etc. Brill Power improves battery system performance with intelligent control technology. First published 2010-10-05 , updated 2019-04-17 , rebuilt 2019-04-22 . Site copyright © 2007-2019 Damon Hart-Davis. Hosted by ExNet.